"New York Times"-bestselling author Gigi Levangie Grazer returns with Seven Deadlies, a witty and wildly different novel set amid the sinful reaches of Beverly Hills, narrated by a captivating, gimlet-eyed Mexican-American heroine. Vroman's Author Event Book Signing Policy Those wishing to get books signed will be asked to purchase at least one copy of the author's most recent title from Vroman's. For each purchased copy of the newest title, customers may bring up to three copies from home to be signed. This policy applies to all Vroman's Bookstore events unless otherwise noted. Save your Vroman's receipt; it will be checked when you enter the signing line. Diesel, A Bookstore in Malibu welcomes local authors Gigi Grazer and Quinn Cummings to the store to discuss and sign their new books on Tuesday, August 7th at 7pm. In The after wife, the hilarious followup to The Starter Wife, also set in Los Angeles, Gigi Grazer tells the story of the recently-widowed Hannah Bernal, who finds that misery and red-rimmed eyes are little tolerated in the land of the beautiful. But life stumbles on: Hannah's sweet three-year-old daughter, Ellie, needs to be dropped off at her overpriced preschool, while Hannah herself must get back to work in order to pay the bills on "Casa Sugar," the charming Spanish-styled bungalow they call home. In The year of learning dangerously, popular blogger, author, and former child actor Quinn Cummings recounts her family's decision to wade into the unfamiliar waters of homeschooling. Trying out the latest trends, attending key conferences (incognito, of course), and recounting the highlights and lowlights along the way, Quinn takes her daughter's education into her own hands, for better and for worse. 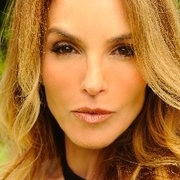 Gigi Levangie Grazer is the author of three prior novels: Rescue Me, Maneater, and The Starter Wife, the last of which was adapted for an Emmy Award-winning USA Network miniseries, and later for a television series. In addition, Gigi wrote the screenplay for Stepmom, starring Julia Roberts and Susan Sarandon. Gigi's articles have appeared in Vogue, Harper's Bazaar, and Glamour. Quinn Cummings is an Oscar-nominated actress (The Goodbye Girl, Family), and the critically acclaimed author of the memoir Notes from the Underwire. She writes the popular blog The QC Report, and her work has appeared in Good Housekeeping, Los Angeles Magazine, and Newsweek. She lives in Los Angeles with her partner and daughter. Gigi Levangie Grazer, bestselling author of The Starter Wife, returns with this funny and spirited tale of love—both lost and found. L.A. is no place for widows, as forty-four-year-old Hannah Bernal quickly discovers after the tragic death of her husband, John. But life stumbles on: Hannah's sweet three-year-old daughter, Ellie, needs to be dropped off at her overpriced preschool, while Hannah herself must get back to work in order to pay the bills on “Casa Sugar.” A series of mishaps and bizarre occurrences begins this astounding journey of discovery and transformation that leads Hannah to her own truly extraordinary life after death. This discussion is free and open to the public. Those wishing to get books signed will be asked to purchase at least one copy of The after wife from Vroman's, and one additional copy for every 3 books they bring from home. Save your Vroman's receipt; it will be checked when you enter the signing line. Gigi Levangie Grazer promotes Queen Takes King. Gigi Levangie Grazer's book The After Wife was available from LibraryThing Early Reviewers. Gigi Levangie Grazer is currently considered a "single author." If one or more works are by a distinct, homonymous authors, go ahead and split the author. Gigi Levangie Grazer is composed of 7 names. You can examine and separate out names.